Since the beginning of the summer, and shortly after turning four, Big Brother has been experiencing some spells of bigger emotional outbursts. While it is worrisome as a parent to see him get so upset and struggle with how to express these emotions, the research I've been doing leads me to believe that most of what he is experiencing is a developmental phase not uncommon to some four year olds. One of our jobs as his parents are to help him to understand that it's normal and okay, to have these big emotions (anger, sadness, frustration) but that when we have them we need to express them in a way which is safe and controlled. 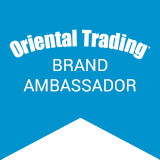 This post contains affiliate links, thank you for your support. Although we've been helping him work through these spells using a variety of techniques, one of our go to strategies is to read books during non-upset times. 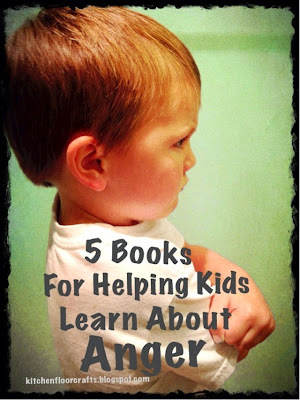 These are 5 books we've been using over the last several months to help Big Brother start thinking about how to express his anger without hurtful words or actions. Most of them give concrete strategies or the words to express the emotions. This has been one of the most practical and clear books on how to recognize the feelings, express them, and cope with them. The language is very kid friendly and something we're able to use to cue Big Brother when he's feeling upset. When Katie loses her temper sometimes she has a hard time keeping her hands and feet to herself and her anger is so big it feels scary. She feels like a Bombaloo. Kids identify with Katie's feelings, and also how a little love helps her get back to herself again. The situations described feel familiar to kids and provide concrete ideas on how to deal with the anger that may arise. This book focuses more on anger within sibling dynamics. Big Brother likes how it depicts what he feels can happen in our family sometimes. He also likes how they work through the fighting by the end. Although there are many books on the market which help kids to think about how to express their different feelings, these are the ones we've been finding helpful in terms of thinking and talking about anger. Along with other strategies we've been practicing, we're seeing Big Brother start to adopt some of the strategies on his own personally in the heat of the moment. Our hope is as we keep supporting him during this developmental phase we'll start to see some even bigger changes. Until then, we'll definitely being keeping these books close at hand in our family library. All good suggestions for parent and child!